← One Millionth View On BrokenElbow.com Yesterday! Was The Manchester Bomb Blowback From Britain’s War Against Gaddafi? A fascinating piece here from Middle East Eye (MEE) suggesting that last week’s Manchester bomb may be the outworking of Britain’s policy to oust the Gaddafi regime from power in 2011. According to the magazine, the British internal security service MI5 reversed its policy of hostile surveillance of Libyan jihadi, many of them living in Manchester, and allowed/assisted them to make their way to Libya to join the fight against Gaddafi. Confiscated passports were returned and assistance given at airports. The article implicitly addresses one of the unacknowledged truths of the anti-Gaddafi ‘revolution’ which was that the movement against the secular government in Tripoli was largely spearheaded by Islamic extremists, rather than the popular uprising portrayed uncritically in much of the Western media. In its effort to overthrow Gaddafi, who had long been an enemy of the West even though he had negotiated a new modus vivendi with former foes, it seems that the British government was prepared to deal with the ‘Islamic devil’, even though the military experience, training and further radicalisation might come back to bite them. Under the 2004 agreement between Tony Blair and Gaddafi, in which sanctions were lifted in return for the surrender of Libyan agents accused of the Lockerbie bombing, the British government agreed to keep a close watch on Libyan jihadists in the UK, forcing them to register with the authorities and curtailing their freedom to travel. These restrictions were lifted when the ‘uprising’ against Gaddafi began seven years later, led in Benghazi by jihadists. Registered Libyan extremists were allowed to travel to the North African state where they even received training from British forces. 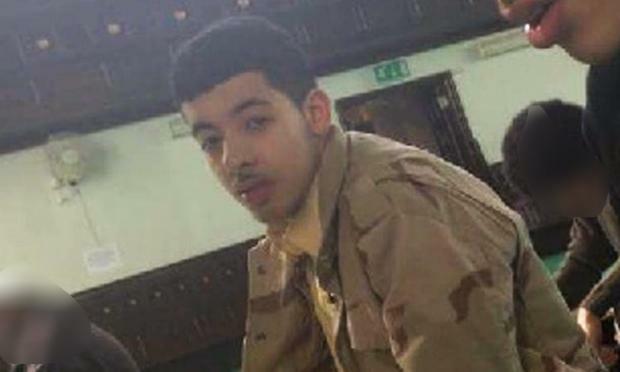 The Manchester bomber Salman Abedi was too young to fight in Libya but his father did, joining the Libyan Islamic Fighting Group. The decision to return passports to the jihadists and to allow them to fly to Libya via UK airports was taken when the current Tory prime minister, Theresa May was Home Secretary. So many young jihadists came to Libya from Manchester that a mural was erected in their honour in the capital Tripoli. Salman Abedi, 22, the British-born son of exiled dissidents who returned to Libya as the revolution against Gaddafi gathered momentum, is also understood to have spent time in the North African country in 2011 and to have returned there on several subsequent occasions. British police have said they believe the bomber, who returned to Manchester just a few days before the attack, was part of a network and have arrested six people including Abedi’s older brother since Monday. 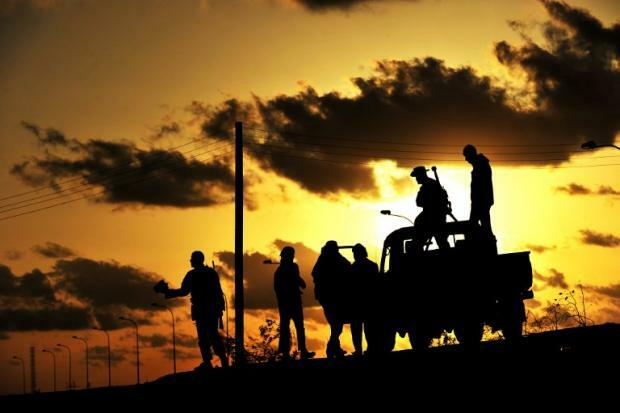 On Wednesday, authorities in Tripoli said that Abedi’s younger brother and father, who had resettled in Libya after the revolution, had also been arrested on suspicion of links to the Islamic State (IS) group, which claimed responsibility for Monday’s attack. One British citizen with a Libyan background who was placed on a control order – effectively house arrest – because of fears that he would join militant groups in Iraq said he was “shocked” that he was able to travel to Libya in 2011 shortly after his control order was lifted. “I was allowed to go, no questions asked,” said the source, who wished to remain anonymous. “They didn’t have passports, they were looking for fakes or a way to smuggle themselves across,” said the source. “These were old school LIFG guys, they [the British authorities] knew what they were doing,” he said, referring to the Libyan Islamic Fighting Group, an anti-Gaddafi Islamist militant group formed in 1990 by Libyan veterans of the fight against the Soviet Union in Afghanistan. The British government listed the LIFG as a proscribed terrorist organisation in 2005, describing it as seeking to establish a “hard-line Islamic state” and “part of the wider Islamist extremist movement inspired by al-Qaeda”. Former members of the LIFG deny that the group had any links with al-Qaeda and say it was committed only to removing Gaddafi from power. Belal Younis, another British citizen who went to Libya, described how he was stopped under ‘Schedule 7’ counter-terrorism powers on his return to the UK after a visit to the country in early 2011. Schedule 7 allows police and immigration officials to detain and question any person passing through border controls at ports and airports to determine whether they are involved in terrorism. “While I took time to find an answer he turned and told me the British government have no problem with people fighting against Gaddafi,” he told MEE. As he waited to board the plane, he said the same MI5 officer called him to tell him that he had “sorted it out”. “The government didn’t put any obstacles in the way of people going to Libya,” he told MEE. Younis said he did not think that the policy of allowing British-Libyans to fight againt Gaddafi had been a contributing factor in Monday’s attack, pointing out that IS was not present in the country at the time – and said he had no regrets about his decision to fight. “What inspired me to go to Libya was the liberty of civilians. There’s no way that that can morph into killing children,” he said. “No questions were asked,” he said. “The whole Libyan diaspora were out there fighting alongside the rebel groups,” he added. “I never got prevented from going to Libya or stopped when I tried to come back,” he said. The man said that he had come across Salman Abedi at their local mosque in the Didsbury neighbourhood but that he had “kept himself to himself” and was not an active member of the community. Another person who knew Abedi described him as a “hot head” with a reputation for involvement in petty crime. “Yesterday they’re drug dealers, today they’re Muslims,” he said, adding that he believed Abedi had also been friends with Anil Khalil Raoufi, an IS recruiter from Didsbury who was killed in Syria in 2014. 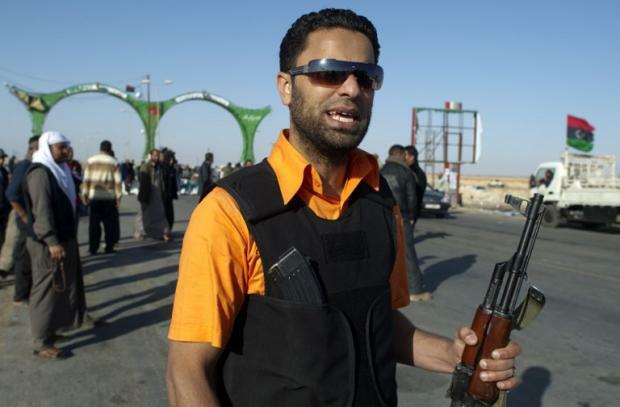 One of the British-Libyans spoken to by MEE described how he had carried out “PR work” for the rebels in the months before Gaddafi was overthrown and eventually killed in October 2011. Many Libyan exiles in the UK with links to the LIFG were placed on control orders and subjected to surveillance and monitoring following the rapprochement between the British and Libyan governments sealed by the so-called “Deal in the Desert” between then-British Prime Minister Tony Blair and Gaddafi in 2004. According to documents retrieved from the ransacked offices of the Libyan intelligence agency following Gaddafi’s fall from power in 2011, British security services cracked down on Libyan dissidents in the UK as part of the deal, as well as assisting in the rendition of two senior LIFG leaders, Abdel Hakim Belhaj and Sami al-Saadi, to Tripoli where they allege they were tortured.